This year was full of major accomplishments, including earning my private pilot’s license. It wasn’t easy and it cost a small fortune. There’s nothing like being able to fly your own airplane and take people for the ride of their lives. The Federal Aviation Administration standards for private pilot are pretty modern and demanding. 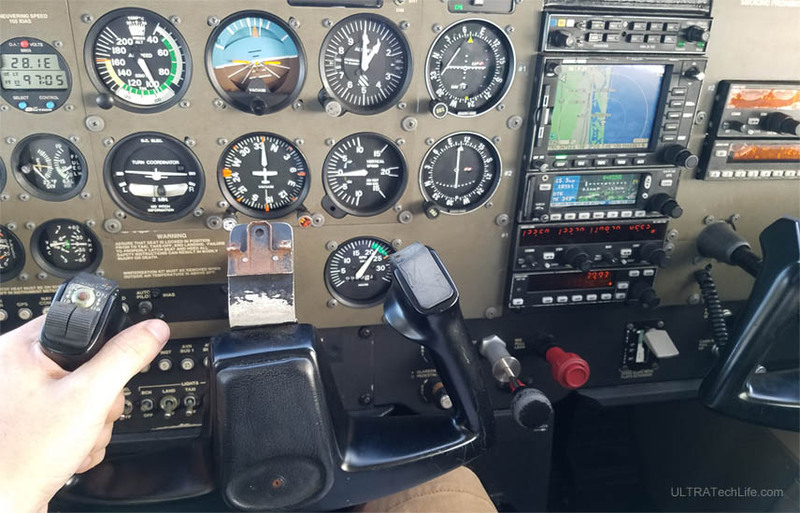 I’ve learned a lot about the process of getting your pilot’s license and wanted to share some tips that could help new students have a better experience. Be sure to check out the HD videos to see me in action flying by myself! Safe pilots are always learning. A private pilot license requires a certain amount of time in ground school and actual flying. This can get instantly expensive – actually, it’s very expensive. A private pilot’s license can cost anywhere from $9,000 to $18,000 because the minimum hours required are often not realistic. This is the average cost around the country. If you decide to get an airline transport license it could cost as much as $100,000. Some people pay for this with loans, some work at flight schools, have multiple jobs, or just pay with cash. You’ll have to pay for the aircraft and instructor, which are separate from each other. The instructor will have an hourly rate and so will the airplane. I recommend training in a comfortable aircraft, such as a 172 over the 152. Being comfortable makes the process go smoother for both you and your instructor. No lie, this is a complicated process with many options. There are lots of special ratings you can get, such as complex, high performance, and multi-engine. Each of these cost more time and money, but it’s worth it depending on your dreams or career choices. It’s a very rewarding accomplishment because you get to do something most people can’t – fly themselves in their own airplane. It can take just a few months if you have the time and money to fly and go to ground school often. However, most people take more time because they can only afford a few hours (at most) per week. It takes a lot of concentration and dedication to actually complete the entire training program and go on to pass the written, oral exam, and practical flying exams. Getting started involves selecting a flight school to begin your training. A good flight school and instructor means you’ll have a better experience, take less time, and learn the most – you’ll be a safer pilot. Don’t cut yourself short, it’s not safe. Ben Alonzo takes you on a private flight with a HD cockpit view. It took me just over a year of ground school and flying to get my license. That’s because I went through a lot of instructors, had hurricane interruptions, bad weather days, and other things going on in life that kept me from flying every day. There’s something about finishing a long process that makes it so much more sweet. I do have some good tips for new student pilots or those thinking about getting their pilot’s license. Before you start towards your pilot’s license, always get your FAA Class 3 (2nd or 1st) Medical Certificate first. There are requirements that you must meet to prevent you from being denied a license. This involves finding a local FAA doctor that specifically does physicals for pilots in your area. The cost for this special medical exam is typically around $85-100 and it’s an exam that involves vision, hearing, hernia tests, background questions, health examinations, and other things to determine whether you’re a healthy pilot applicant or not. If you pass your FAA medical exam, you’ll be issued a certificate immediately at the doctor’s office. Do not lose this certificate, you’ll need it to legally go to flight school and fly. One of the biggest problems in finding a good flight school is actually finding the right instructor. Instructors are not all the same, they each have their own personality and way they like to teach. Some people are just not compatible. And there’s actually bad instructors out there – watch out. A good instructor will have a good attitude and do their best to make a reasonable schedule so you can fly. They should have a good reputation and demonstrate effective communication skills. Just because you’re a good pilot doesn’t necessarily mean you’re a good instructor. You’re spending a lot of time and money so be sure to find an instructor that makes it worth your while. I’ve had numerous instructors over the time I was in flight school. Most of them were decent, but a few were poor instructors or just quit in the middle of school, which meant finding another instructor. Frequently changing instructors can mean more time and money so that’s something you’ll want to try and avoid. You’re going to be getting endorsements and that means the person that endorsed you must know your capabilities. But never be afraid to seek a new instructor if one doesn’t work, it’s your time and money. Getting a new instructor that knows nothing about you may mean you have to repeat what you’ve already done. Again, a good reliable instructor will help you avoid wasting time and money. Make sure the instructor you pick can see to it that they are your instructor from start to finish. Ask them this up front to make sure you don’t get passed around. You have to do your part, of course. Always be prepared, study ahead of time, and practice things by doing “chair flying.” Go through the training steps in your head as you’re sitting down at home. This helps you prepare for actual flight. It’s better that you learn what you need to on the ground first at home without paying for unnecessary ground hours. Don’t forget to study as often as you can! Most flight schools will recommend special software or online training programs to help you. I’ve actually used Gleim pilot training course materials (online). The idea is that you use good materials (that are up-to-date) at a reasonable price. This helps you with your ground school and written tests. You need airman knowledge before you can understand the why behind the aircraft functioning, controls, and procedures. You really need to dive as deep as you can into studying. After all, if this is your dream, you should be willing to study and work for it! I tend to study at an incredible amount, which typically means I’m very prepared for tests and often do extremely well. This is a good habit and it’s something you should work towards. After all, you’re a safer pilot if you put more time and effort into studying. Part of the reason you study is to be a safe pilot. It’s a big responsibility to fly an airplane. If you’ve decided you want to do this, be prepared by getting the equipment you’ll need for the entire private pilot program. You’ll need the calculation, navigation, books, and other gear that will be used during ground school and actual flight. Thankfully, the books are free from the FAA in PDF format. One thing I can say about PDF format study books is that it’s easy to find things with a search function, which will help you tremendously. Keep good track of your ground time and actual flying hours. In fact, one of the first things you will learn how to do is actually log your flight time. This is important and at first is kind of complicated. Make sure you complete a log every time you fly. Be thorough with your paperwork and make sure all of your hours are accounted for, it comes up later. Getting your private pilot’s license means you first have the minimum hours of ground school and dual, solo, and cross country flying completed. It means you’ve also already passed the initial solo written test and FAA pilot written test. It means that your flight instructor feels you are ready to take the oral and practical FAA pilot exam. By the time you get to the scheduling of your oral and practical exam, you should feel confident. Don’t be nervous, although that’s typical. The FAA examiner will help calm you down and let you know their expectations. Stick to the training and earn your pilot’s license. Expect to pay around $800 in cash just for the practical exam (oral and final flying interview) – no matter where you live in the US. That doesn’t include aircraft rental or fuel. Be prepared for that cost. If you’ve passed everything, you’re issued a temporary airman certificate – that’s awesome. It’s typically valid for 120 days from the date of issuance and it means you are cleared to fly solo or with passengers. No more instructor! Congratulations. Your card should come in the mail within 60 days (typically). Getting my pilot’s license was one of the coolest and challenging things I’ve ever done in my life. I still can’t believe I did it (as I write this article). I’ve taken several people flying and it’s been very cool to apply my meteorology knowledge to aviation. My background made it significantly easier to get my license and understand the fundamentals of flight. I was really excited about aviation weather and already knew pretty much everything being covered. There’s just nothing like flying up there and getting a closer view of the clouds. There’s so much science and tech involved in getting a pilot’s license. I’ve learned so much about flying apps, navigation, and video production in an airplane as well. About Author: Ben Alonzo is a scientist, tech expert, professor, and director of ULTRATechLife.com. He’s CEO of the media-tech firm Storm Sector, LLC. Ben holds an M.S. in Geoscience, M.S. in Nutrition and Health, and a B.S. in Geoscience. 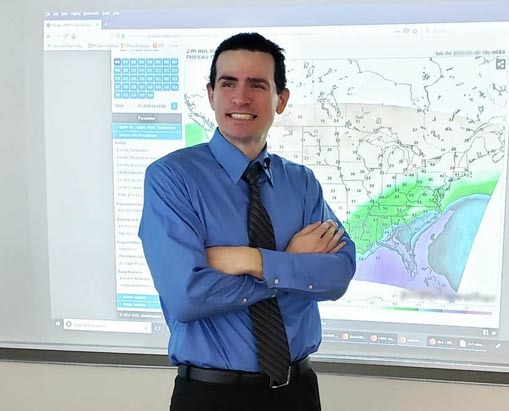 He’s a highly-rated professor that teaches several courses, including earth science, environmental science, oceanography, meteorology, and public health. His diverse background spans numerous fields, network and computer systems, healthcare, weather forecasting, consumer electronics, computer programming, and web development. Ben holds numerous professional licenses and certifications, ranging from information technology to healthcare and emergency medical technician. He’s also a pilot that loves flying. He’s been writing about science and tech for over 10 years. You can see some of his past articles on the Houston Chronicle, eHow, Hearst, and other networks. In his free time, he loves scuba diving, traveling, storm chasing, producing videos and writing guitar music. More about author. 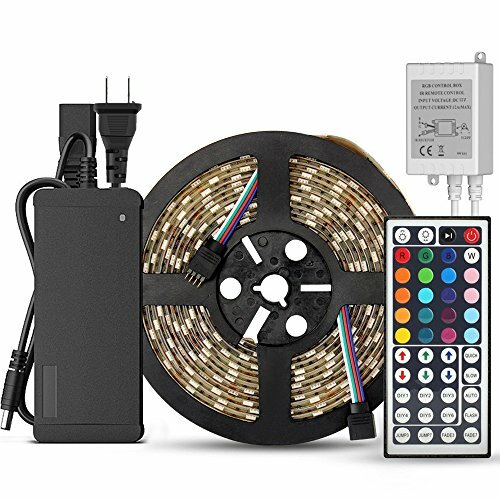 Here's a cheap, awesome RGB LED mood lighting kit for your bedroom, kitchen, cabinets, apartment, or dorm. This has the light stripping (multi colors), remote control, and power supply. Easy to install and looks totally cool. See More/Buy from Amazon.com. We're excited to announce our website and social media launch. Do you like tech? Science? Expert budget consumer electronics product reviews? We will be giving away lots of free stuff during our website relaunch. You can get a chance to win lots of great prizes (from food to electronics and gift cards) - just like, subscribe, and follow us on YouTube, Facebook and Twitter. You can help support expert science and tech authors! Did you find something informative? Like our website? 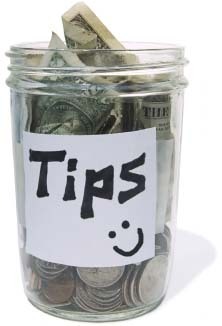 Tip the author any amount through PayPal.me and show your support.